The company said that among other initiatives, it will sub in recycled or bio-based plastic and paper materials for consumer electronics packaging beginning in 2019, including by using molded pulp and bioplastics in place of plastic bags and trays. Additionally, the company noted that we can expect to see a change in its phone charger design: they will no longer be glossy but matte, and the company will cease using protective plastic films. To be sure, Samsung Electronics is still one of the most prolific manufacturers of gadgets and components in the world; and electronics, by way of technological innovation as well as our insatiable appetite for stuff, create their own form of waste. 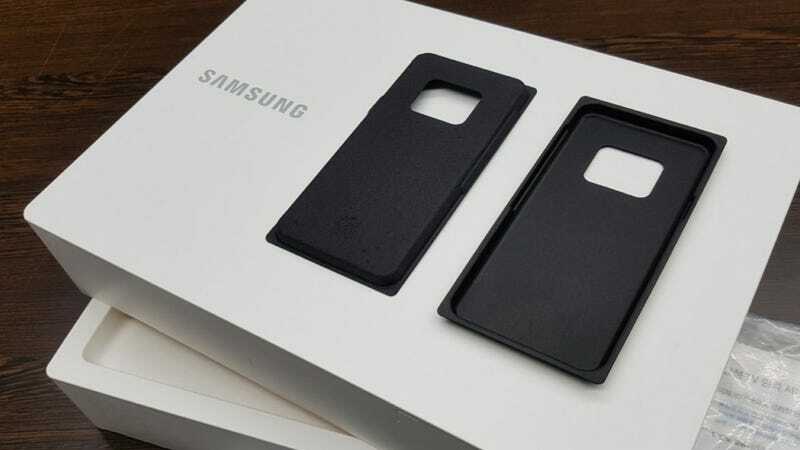 But given that an estimated 91 percent of plastics aren’t recycled, and certainly because Samsung is such a global behemoth, any effort to move away from plastic packaging is a welcome shift. As Engadget noted, the company had been under pressure from groups like Greenpeace for years to get it together and go green(er). In a 2017 Greenpeace report about consumer electrics companies and their sustainability effects (or lack thereof), Samsung ranked pretty poorly when stacked against other companies like Apple, HP, and Microsoft, particularly with respect to renewable energy. Last year, Samsung Electronics announced that it was committed to shifting completely to renewable energy sources at its factories and facilities by 2020 in the U.S., Europe, and China.